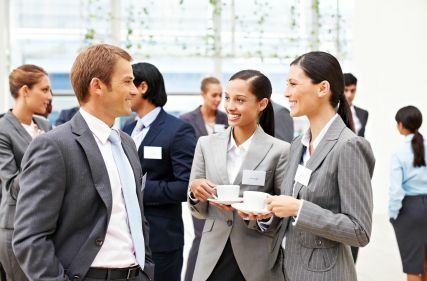 Conferences, networking events, sales calls and business meetings (in and out of the office) all require a level of “icebreaking” that comes in the form of small talk. It doesn’t matter if you are in sales or not, some people love it and others hate it. This type of conversation is an important element of our culture, and is a first step to creating deeper relationships with the people we interact with. A lttle while back we took a look at what the GSG team was reading, so now we have decided to ask them what they are listening to. While we would love to share our favorite music, we have focused on which podcasts we listen to. Podcasts are a great way to learn about something new, pass the time while commuting, or keep up on current events. We’ve interviewed some podcast connoisseurs from our office to get their take on the best podcasts out there, and why they suggest you tune in! Please take a look at what we have in our headphones, and we would love to hear what you have in yours! It doesn't matter if you've got an hour long commute on the train everyday, a long flight or some well deserved down time, there is always something to read. Despite how busy we have become, more of us than ever before are finding time to read. Deciding what to download or, if you're old school, actually pick up next, can be overwhelming. GSG’s Chief of Staff, Hollis Bufferd, is an avid reader, constantly doling out book recommendations and keeping up-to-date on the current page-turners. Below is her review of a novel that she recently enjoyed: Big Little Lies.